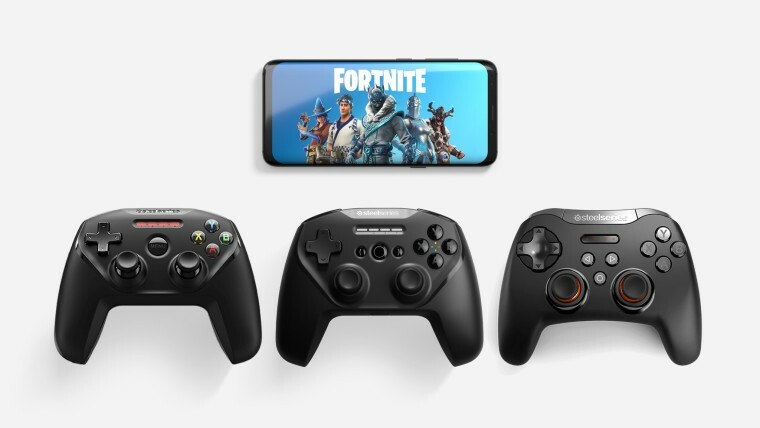 Fortnite recently updated to version 7.30 that brought a wide variety of improvements and also support for physical controllers. So it comes as no surprise that many companies have been announcing that its controller products are now compatible with the game. SteelSeries is no different, with the firm now officially announcing that its controllers are fully compatible with the popular title. Although it recently announced the Stratus Duo controller, the firm also has its older models, the Stratus XL and Nimbus. As you can see in the photo at the top of the article, each model shares a similar design but has is different when it comes to compatibility. The Stratus Duo and Stratus XL offer support for Windows PCs and Android, while the Nimbus is compatible with Apple TV and iOS devices. No matter what you use, there is pretty much an option for everyone. You can check out our first impressions of the Status Duo and also take a look at our video above. If any of these controllers interests you, you are welcome to take a more in-depth look on the SteelSeries website. Published on Wed, 13 Feb 2019 23:28:01 GMT, © All rights reserved by the publisher.